Can’t decide between the incredible power and adrenaline of a speed boat ride, or a fun-filled, hilarious banana boat ride? Why not combine them both?! With this package you can satisfy your desire for both the cool and the crazy. 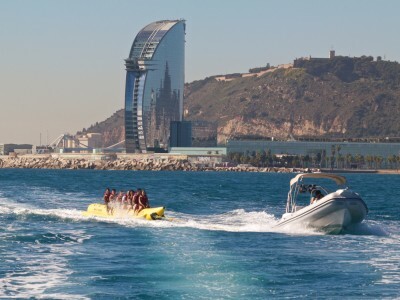 For 45 minutes you’ll conquer the waves of the Mediterranean on a speed boat, a-la James Bond, before spending 15 minutes on a crazy, group banana boat ride!